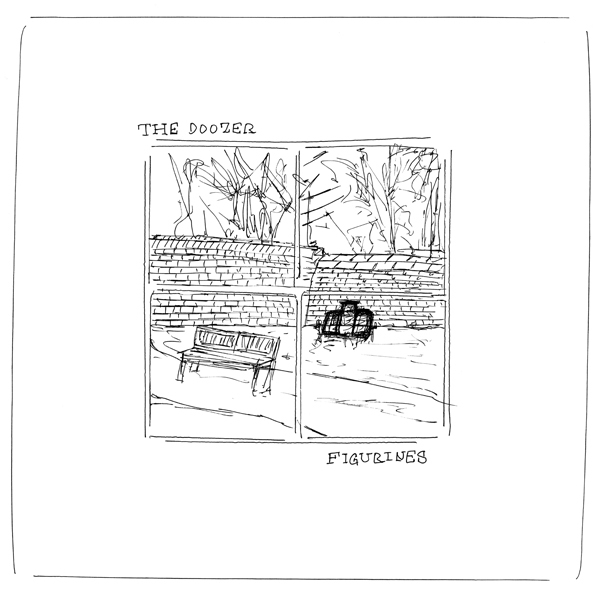 Brilliant sixth album by The Doozer demonstrates that while you can take the boy out of Cambridge, it ain’t easy to do the obverse. The results are twelve inches of splendidly psych-soaked pop readymades laced with tendrils of Syd Barrett, Chris Knox, Pip Proud and early Nick Nicely. Because he has been crafting just this sort of thing for over a decade now, it shouldn’t take so much name-checking to place The Doozer inside his aesthetic continuum. But even after wonderful LPs on labels like Pickled Egg, Siltbreeze, Golden Lab, Woodsist and elsewhere, too damn many people still haven’t grasped this music the way it deserves..
Why this is the case is perplexing. On his own records (and also as a frequent UK participant in the MVEE caravan), The Doozer has always shown himself to be a dab hand with both melodic construction, as well as with sound generation using keys and strings of all sorts. For his live sets, just as on his records, Mr. The Doozer creates an enveloping blanket of sound and image that is as comforting as it is weird and artful. Like those legends I mentioned earlier, The Doozer has a wonderfully original way of creating sunny sounds, smeared at the edge of their event horizons so that they seem more like aural hallucinations. Like the aforementioned he also has the ability to craft pop hooks in a manner that makes them feel simultaneously new and deeply familiar. Figurines is an album that sounds great the first time you play it, and loses none of its pleasure on its fiftieth spin. Truly a record for the ages, and a classic “late night spin” if ever there was one.